﻿Chesterfield Paranormal Research (CPR) is a scientifically and faith based paranormal research organization. These two perspectives in our research approach are not mutually exclusive as one might think. Our primary mission is to explore reports of paranormal activity, to collect evidence and data, assess and interpret data and consider explanations. We also take into account environmental conditions and both religious and cultural beliefs. As we seek to expand our understanding of spontaneous phenomena as it relates to the human experience, we, first and foremost, verify client claims of paranormal activity. We employ technology to detect and to measure environmental anomalies; however, we heavily rely upon both the investigator and client experience in direct correlation to anomalous equipment readings. We will investigate one’s home or business to the best of our abilities and will provide a report of our findings within two weeks following the investigation. If the client is not satisfied with our findings, the client is welcome to contact another team and share our findings with them. CPR serves the client by addressing needs and concerns, respecting their beliefs and privacy, and by respecting unknown realms being dealt with, along with the potential dangers involved. Our goal is to help you. In addition to being researchers and investigators, we cleanse/bless homes, exorcising spirits in the event of an inhuman infestation. 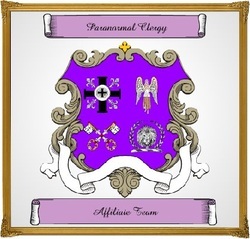 We are an affiliate team with Paranormal Clergy founded by Bishop James Long, United States Old Catholic Church. Occasionally paranormal activity increases after an investigation. CPR will not be held responsible for any increase in paranormal activity or for any complications that may arise from such events. We ask the client to consider carefully the foregoing, if activity is negative in nature, before requesting an investigation. Respect for both our client and their property prevents any of our members provoking spirit entities making matters worse. If you decide to have us to investigate your property, please complete our Questionnaire and read our investigation requirements.